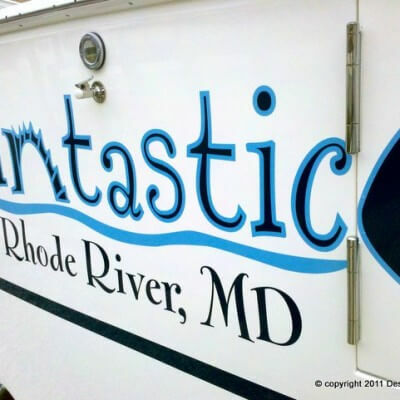 Unique Boat Graphics – Educat – Designs and installed by Travis Brandon at Designs & Signs in Edgewater, MD. 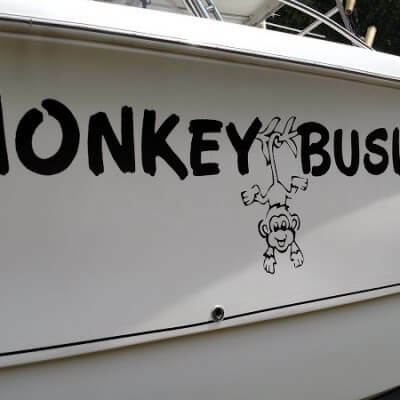 First I will usually work by hand with a sharpie to create the line art needed for a custom graphic, in this case a “smart cat”. 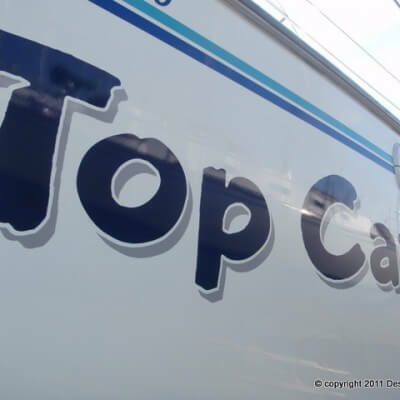 I’m not a cat person but I still pulled this off. 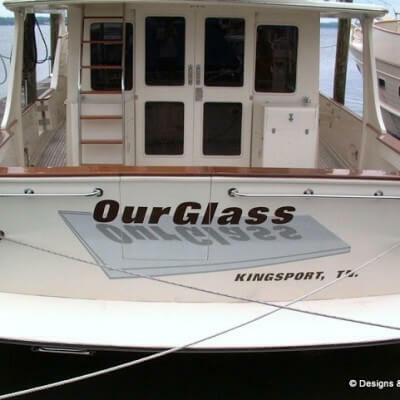 I’ll scan my drawing and then use Flexi-Sign to vectorize and edit the drawing. 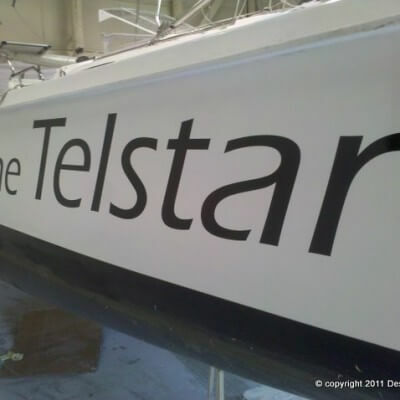 Vectorizing and editing is how we prepare the drawings for the xy plotter, which we use to cut vinyl. 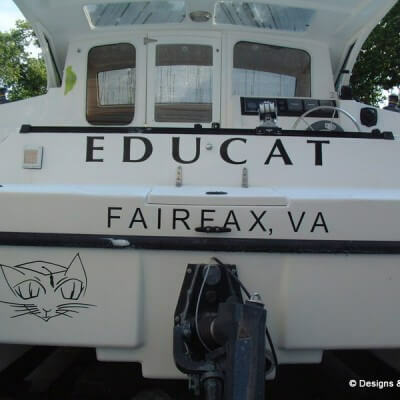 Unique Boat Graphics – Educat! 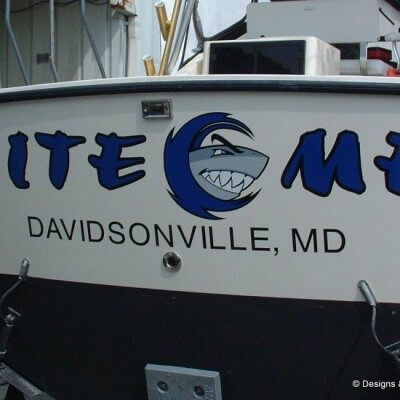 Cute Kitty? 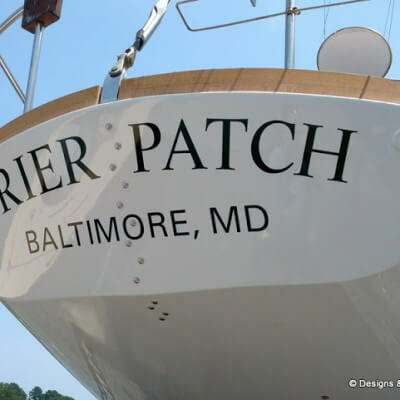 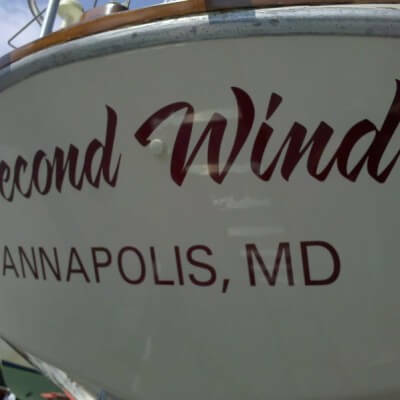 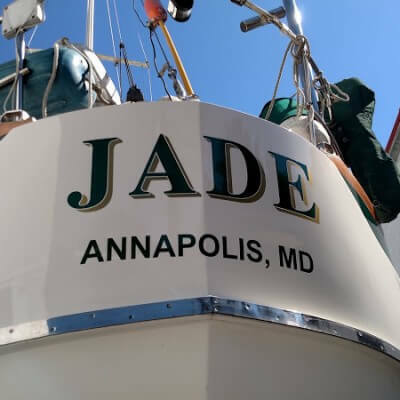 A custom boat name at Performance Cruising in Annapolis, Maryland. 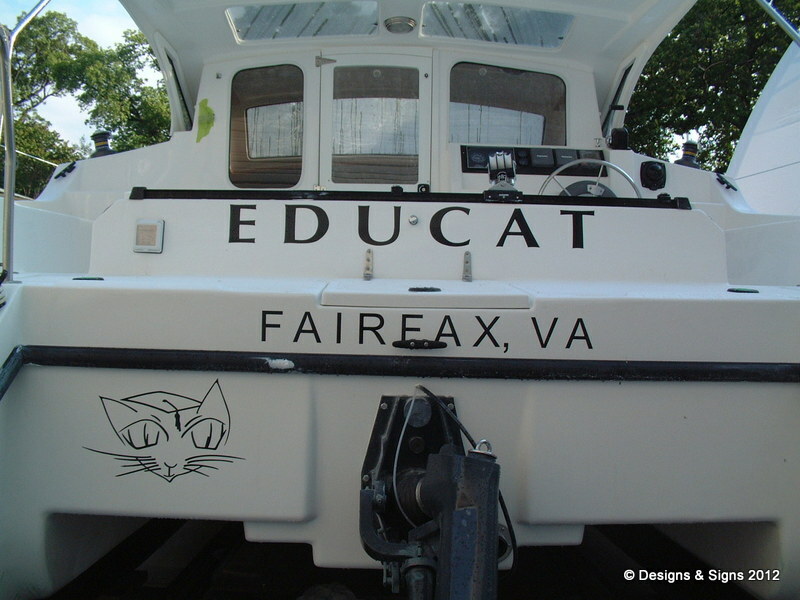 The smart cat was drawn by hand, then scanned and vectorized. 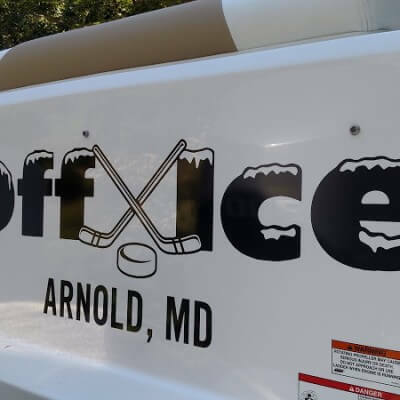 After a bit of editing, the vectorized images can be reproduced cleanly at any size with a vinyl cutter or large format solvent printer. 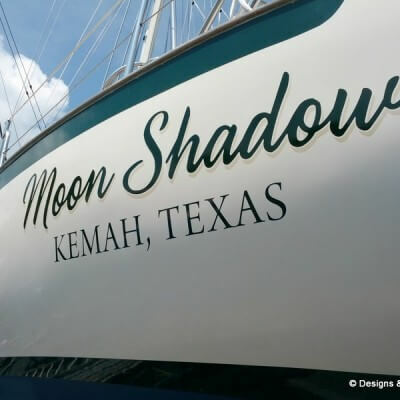 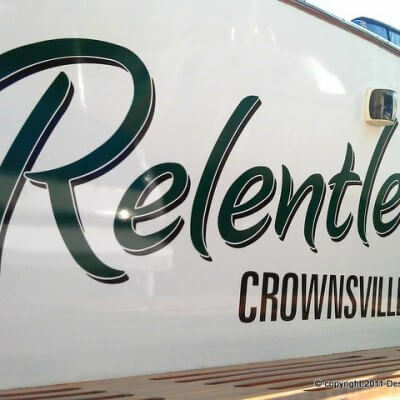 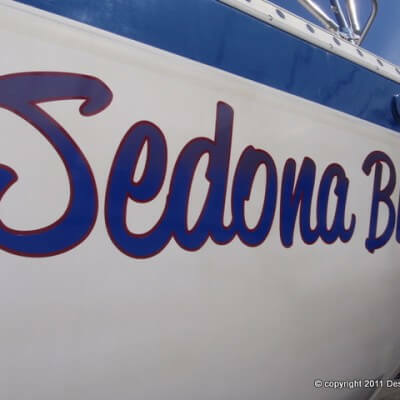 We use premium vinyl for all of our boat lettering installations. 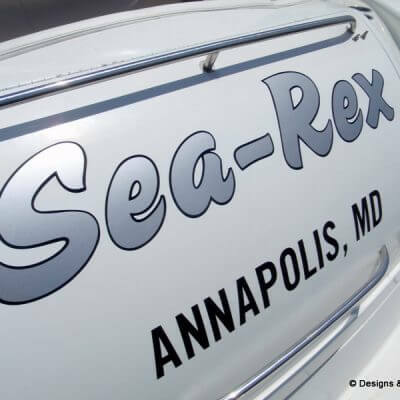 Please take a moment to review photos of our custom boat names.